The Alison Cork Cruze Shower comes complete with Easyclean handset and a stylish thin round shower head. 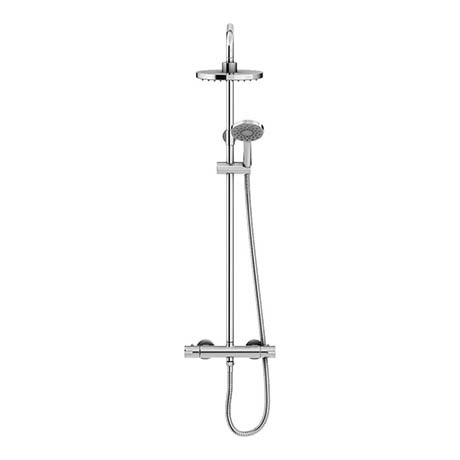 Perfect for a complete modern shower solution, the Alison Cork Cruze is a popular choice for many. Featuring a rainfall style shower head, it creates a luxury shower experience which can be controlled effortlessly with its thermostatic shower valve. Ideal for both new and existing bathroom designs, it's also great for the family as it adds the safety of the thermostatic valve. For Gravity fed systems shower needs 5 meters of pipe between tank & shower head (we suggest using a shower pump - learn more about shower pumps here).